Caribbean Wild has a treasure-theme beginning with some great graphics and a jackpot to bet on. 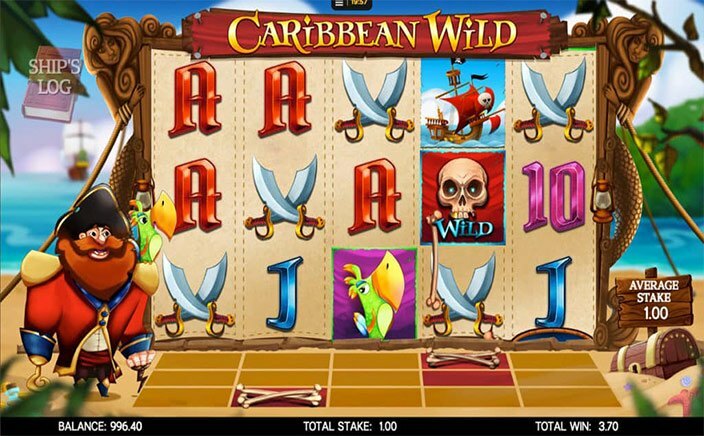 The idea behind the slot game is that the player is searching for hidden treasure in the Caribbean with various symbols that are represented by pirates and swords. The clear blue sea and a pirate that borders the game is what the background of Caribbean Wild comprises. There are also some pretty cool bonus features that make the game enjoyable. The wild symbol is represented by the skull and bones and can replace any other symbol of the game. Most of the symbols are represented by a letter and other than that and there are also other high-value symbols. The swords, the turning wheel of the ship and the parrot make up the high-value symbols. The parrot symbol is particularly important in the game. This parrot symbol can change the spins you have to give you a bonus round that could lead to some great jackpots. 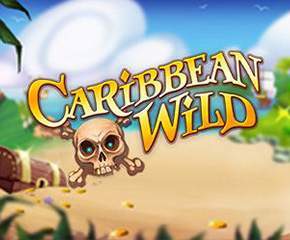 The Caribbean Wild is one of the slot games available that come with a truckload of different features. By completing the wild matrix the player is given unlimited free spins that can really help move forward in the slot game. These free spins will continue until the full matrix is unlocked, giving the player the ability to win a lot of cash during this time. The slot game also has various features that reward loyal players by giving them better deals. With 20 paylines and a 5×3 reel slot, this slot game has multiple ways to land on a winning combination. These unlimited free spins are triggered in one out of every 123 games according to statistics giving every player a chance to win big. There is also a pirate hunting feature that is triggered once in every 199 games. This feature lets the player pick a win that can be anything among a range of mystery collectables that can help boost their winning capacity in the game. Caribbean Wild has some pretty great features that pair up well with the graphics and soundtrack. Overall, it is quite popular in the list of slot games particularly because of the famous unlimited free spins feature. With an RTP that ranges from 92.30% to 96.33%, this game has definitely won over quite a few loyal fans.